Lead & Nickel Free!! 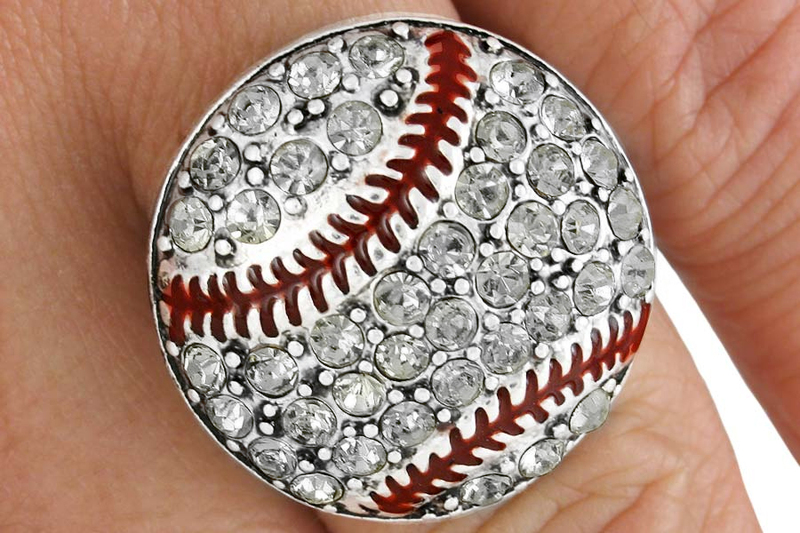 Beautiful Silver Tone Stretch Ring Is Delicately Detailed With Pave Clear Crystals In The Shape Of A Baseball. It Is Accented With Red Painted Stitching. 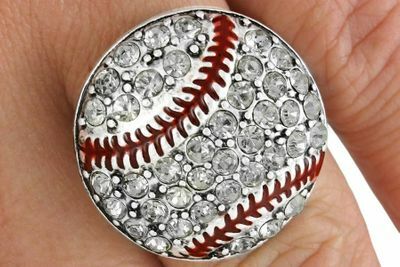 Ring Is Stretch And Should Fit All Size Fingers.